So the new iPhone just came out and you're ready to sell or trade your old one for the latest shiny version. Wait a second, your whole life is on that phone! You wouldn't want to just hand over your phone with all your e-mails, contacts, music, photos, videos, and other personal stuff on it, would you? Probably not. Before you start camping out in the mile-long line at the store you're going to buy your new phone from, follow these simple steps to fully clear your iPhone's data. If you're getting a new iPhone, you will want to make sure that your old one is backed up so that when you restore the data to your new phone, everything will be current, and you won't have to start from scratch. Depending on which version of iOS your using and your sync preference settings, you will either backup to your computer or the iCloud service. Currently, the iCloud service will backup pretty much everything that you need to restore your iPhone, but it is possible that some apps may not support backup to the iCloud. Also, some really old phones such as the original iPhone and iPhone 3G don't have access to the iCloud service so we'll backup using the iPhone's docking cable. For more information about the iCloud method, check out the iPod / iPhone section. Open iTunes and click on your iPhone from the left-hand navigation pane. From the iPhone's page on the right side of the screen, click the "Back up to this computer" checkbox. Right-click the iPhone from the window pane on the left side of the screen and click "Back Up" from the pop-up menu. If you have purchased some items on your phone and haven't transferred these purchases to your computer yet, right-click the iPhone and choose "Transfer Purchases" to transfer the purchases prior to backup. Make sure the backup process succeeds before performing the following steps. Since you don't want whoever gets your phone to have access to your personal data you'll need to wipe the phone clean of all of your personal data. Follow these instructions to clear the data off of your phone. 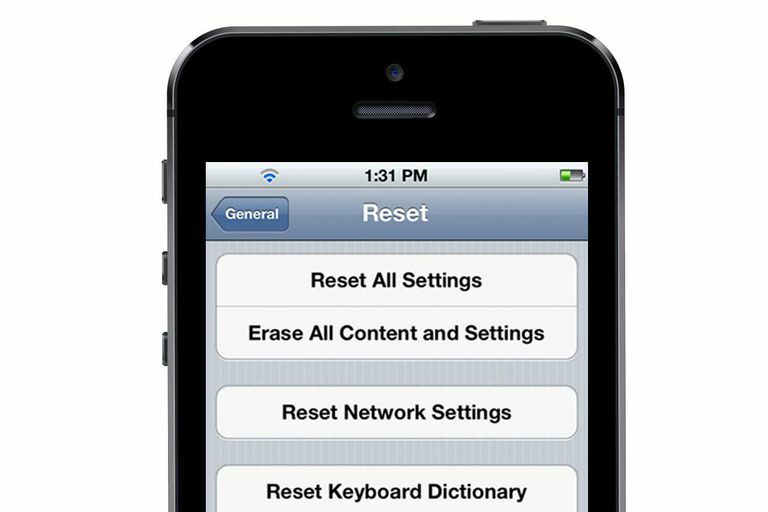 Choose the "Reset" menu item. Tap on the "Erase All Content and Settings" menu item. The process can take anywhere from a few minutes to several hours, so it's probably something that you don't want to do while your waiting in line to trade your phone in.